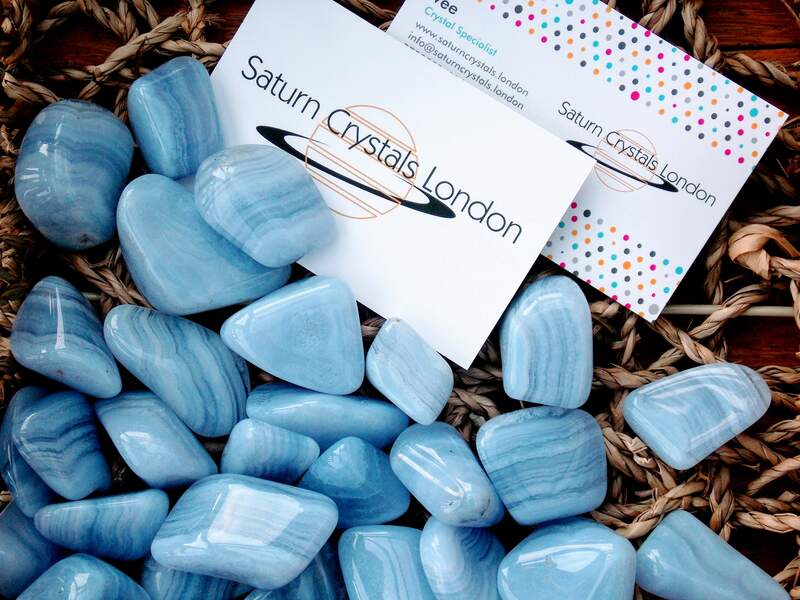 Blue Lace Agate – associated with the throat chakra. Composed of micro crystals of quartz, blue lace agate is subtle and delicate. The lace bands of blue, white and grey resemble a cloudy landscape and it is one of the more uncommon varieties of agate - hence selling for a premium. South Africa has the finest deposits. It helps with self-acceptance, communication and understanding, harmonising emotions and bringing equilibrium to unstable energies.